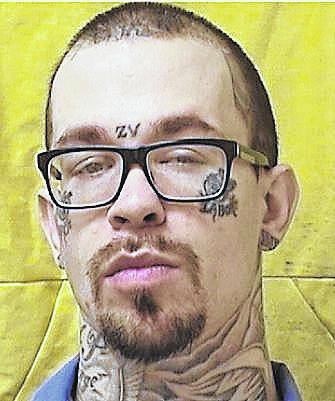 LUCASVILLE — An inmate who had been at the Southern Ohio Correctional Facility for less than a week is now brain dead and on life support after hanging himself in his cell in an apparent suicide attempt. Goodrich had been transferred to the Lucasville facility Thursday after he broke a correction officer’s nose and wrist while at the Ross Correctional Institution. Goodrich was sentenced to prison in February in two separate violent crimes. On Nov. 5, 2017, he and another man tried to rob a couple and then shot at the couple as they fled. Authorities then discovered a video on Goodrich’s phone showing him and four others beating a woman and threatening her with a gun. He subsequently pleaded guilty to several felony charges in February.